Purchased New from Amazon, Very Very Clean and well cared for! Comes with Nikon Box & soft case. Glass is like new and free of defects. Of all the stuff I'm selling this piece makes me the most sad!! My price is both Fair And Firm!! Pricing is positioned to be 5% lower than Adorama for a lens of equal condition. i'm confused. The last picture is for a 70-300mm. ?? Sincere apologies, that image was just removed. Thank you for bringing that to my attention. Should you expesss interest in purchasing the 200-500 I will shave $50 as a sign of my gratitude. Thanks but I have one. Good luck with your sale effort. 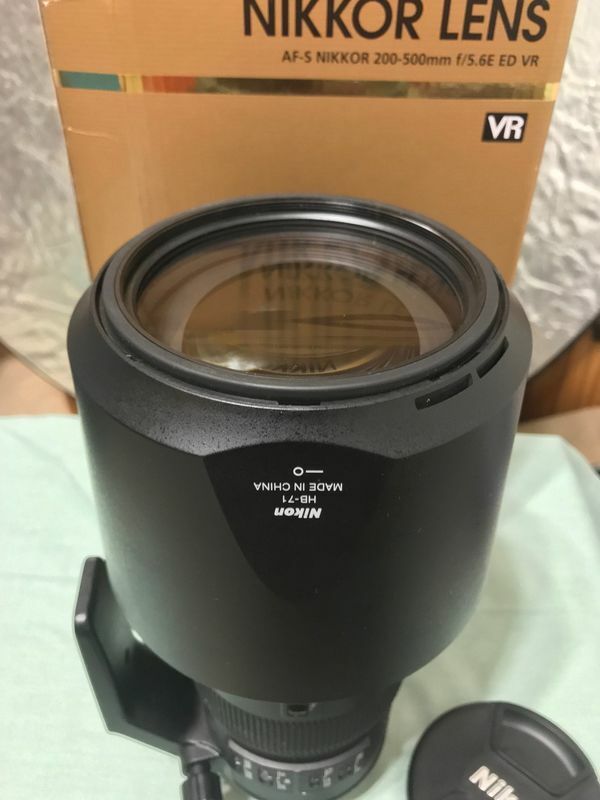 For anyone that wants this lens, this is a real bargain. I use mine a lot for plays and concerts. It is a phenomenally sharp lens. this lens is on my bucket list but just cannot do that right now. wish I could. Thanks for your interest! If you shoot Nikon and love sports or wildlife I beg you to take your time and save the necessary funds for this model. Don’t settle for less you won’t find a better value. I understand the timing isn’t right for this one, that means you’re proceeding wisely! Reply Sent! Feel free to share it! 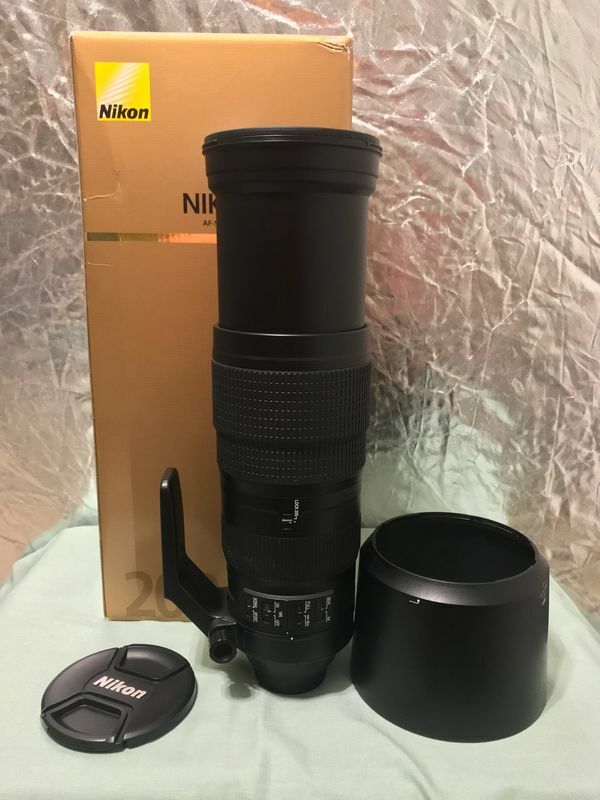 I am interested in the 200-500mm Nikon. I am wondering if you are close enough to Salt Lake City for me to drive to you to see and try the lens out ? Thank you for your interest in my item Barry, however this item just sold.